The CL layout is one of the most popular among Silverwave boaters. Executive co-captain helm seating sets the stage for easy conversation, under shade or sun, on your family's cruise! 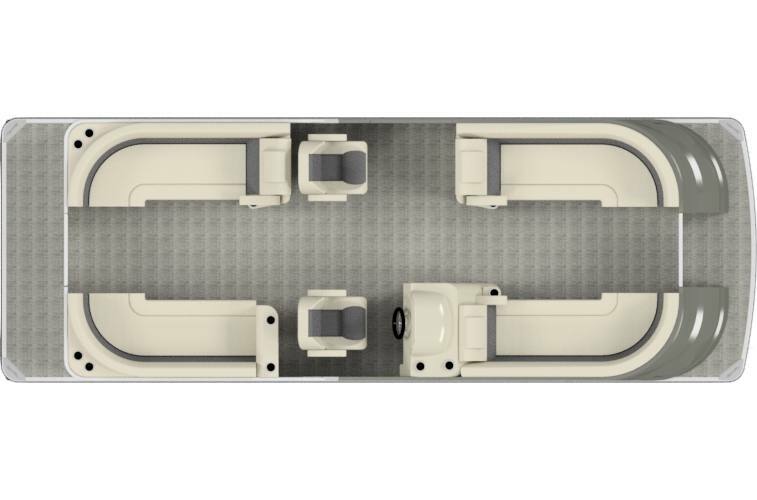 Co-companion seating is centered around plush leanbacks in each of the four corners. These leanback lounges include fold-down armrests with cupholder amenities.